We’d love your help. 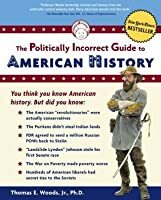 Let us know what’s wrong with this preview of The Politically Incorrect Guide to American History by Thomas E. Woods Jr.. 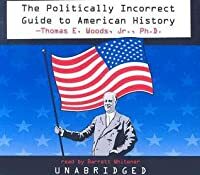 Preview — The Politically Incorrect Guide to American History by Thomas E. Woods Jr.
To ask other readers questions about The Politically Incorrect Guide to American History, please sign up. You could shorten the title to simply "incorrect." Usually the words politically incorrect announce someone who is proud of having gone against the grain. Thomas E. Woods is here to show us that a person can be unusually proud of committing all the sins he purports to denounce. Woods' aim is to correct the cherished myths of American History that are advanced (without evidence!) by Liberals/Political correctness/people who disagree with Woods. The problem is in order to do this, Woods does exactly You could shorten the title to simply "incorrect." Woods' aim is to correct the cherished myths of American History that are advanced (without evidence!) by Liberals/Political correctness/people who disagree with Woods. The problem is in order to do this, Woods does exactly the same thing. If you're going to point out the inadequacies of the established historical narrative, you might want to put some time in research. Woods' bizarre characterization of the Civil War as a justifiable assertion of States rights to nullify Federal law is Exhibit A. Any treatment of the Civil War that sidesteps or dismisses (as Woods does) the topic of slavery is so clearly ignorant of the facts as to be a farce. You could argue that there was a State's rights dispute - but the chief right the southern states wanted was the right to own people. Don't believe me? Okay, but you'd have to ignore the Mississippi , South Carolina , Georgia , and Texas declarations of Secession - for starters. It would be fair to argue that there were more issues than slavery but to dismiss it?! No serious scholar could do that. Woods might be tired of slavery dwarfing all other discussions but that does not give him license to artificially add weight to factors he's more interested in. If this was the only misstep in Woods' book, it would be fatally flawed. Sadly, there are many more. To be true in Woods' eyes all a theory needs is to be out of favor with the people he dislikes. There are certainly sacred cows in academia and theories that have gaps, inaccuracies or out and out fraud (J. Ellis, I'm looking at you...) but Woods doesn't bother to tear these down with facts. He's sure he's right - and so he just screams out his message - adding volume instead of clarity. -many Communists existed in the U.S.
Ron Paul recommends this book. Enough said. The concept behind this book is great. There are a slew of historical facts that are so vastly over-simplified when you are a kid in history class that they end up effectively being lies. Many history books and teachers also present complicated constitutional issues as if they are simple, with of course the history teacher's view presented as the one "true" view. The problem with this book is that Woods does these exact same things, but he seems to think it's somehow better because he's coming f The concept behind this book is great. There are a slew of historical facts that are so vastly over-simplified when you are a kid in history class that they end up effectively being lies. Many history books and teachers also present complicated constitutional issues as if they are simple, with of course the history teacher's view presented as the one "true" view. The problem with this book is that Woods does these exact same things, but he seems to think it's somehow better because he's coming from the conservative angle instead of the liberal. He has some great facts in here, but they are polluted by the fact that he is a conservative idealogue first and a historian second. The best example I can think of is comparing his chapter on Reagan and the greed of the 80s to his chapter on Clinton. Die-hard Clintonistas like to ignore anything bad about the guy, and Woods' Clinton chapter is an amusing attack that brings up some of the lesser-known bad things about Clinton. But while Republicans tend to be just as ridiculous about Reagan, his chapter on Reagan and the 80s is just a straight-up love-fest. The intellectually honest and "politically incorrect" thing to do is bring up the bad things that people on both sides of the fence ignore about their own icons, not slam one and raise the other as a Saint. Another great example of his oversimplification of the facts and presentation of his view as "historical fact" is his comment on Michael Milken. Woods goes on a rant about the greed of the 80s, states repeatedly that Milken was "not guilty of any crime," and argues that Milken was convicted on six petty charges - what Woods refers to as "technicalities." In fact, Milken pled guilty to six securities felonies and the Judge in his case stated, "You were willing to commit only crimes that were unlikely to be detected... When a man of your power in the financial world... repeatedly conspires to violate, and violates, securities and tax business in order to achieve more power and wealth for himself... a significant prison term is required." Apparently this history professor at Ludwig von Mises Institute believes he understands securities laws and the criminal code better than the judge who was actually presiding over the case. Milken's story is a politically charged one, and the prosecutors in that case did a number of very questionable things, but Milken's story is a complicated web and to present the opinion that "Milken was not guilty of any crime" as if it's a historical fact is ludicrous. Similarly, Woods goes after the religious freedom argument and carries his strict constructionist viewpoint as if it's the only way to go. His section on the Constitution is basically: Here's a quote from one or two of the founding fathers, so that's all the Constitution means, and all the attorneys, law professors, and judges in the world who disagree with me are wrong. This area of the law is far more complicated than that, and legal scholars have disagreed for decades over both a) how locked down we need to be to the original words of the founders and b) what exactly the two religion clauses mean. Woods clearly doesn't get that, which is understandable as he's not an attorney or a judge, and he is completely unqualified to be presenting his oversimplified view of the Constitution as if it is the only true position. Finally, his whole discussion of the South is so defensive that when I was reading it, I immediately guessed he lived in the South, and went to look it up. Not only was I right (he lives in Alabama), he was present at the founding of the League of the South and has contributed to its newsletter. The League of the South is a Southern nationalist organization that promotes the "independence of the Southern people" from the "American empire," sees opposition to its promotion of the Confederate flag as "cultural genocide." After seeing him spend an entire chapter devoted essentially to downplaying the effect of slavery and trying to defend the Confederacy, somehow I'm not surprised. History is written by the winners looking upon the past through rose colored glasses. This book negates the tint. It has some of the well known "open secrets" like Jefferson fathered his slave babies and Kennedy had affairs and used ghost writers, but he mostly fills the book with the effects of well intentioned programs--there's less integration in school districts with forced bussing programs that were meant to diversify the schools, the reasons behind certain decisions (why the founding fathers History is written by the winners looking upon the past through rose colored glasses. It has some of the well known "open secrets" like Jefferson fathered his slave babies and Kennedy had affairs and used ghost writers, but he mostly fills the book with the effects of well intentioned programs--there's less integration in school districts with forced bussing programs that were meant to diversify the schools, the reasons behind certain decisions (why the founding fathers preferred a solid constitution rather than England's "living document") and excerpts of speeches that don't place the speaker in a good light--Honest Abe thought blacks should never be jurors, never be allowed to vote, could never be equal, and should always be inferior to whites. Lincoln also looked into deporting all blacks immediately following the war. Also in the book are chapters about blatant lying and cheating and vote stealing that were thought to have taken place but were never proven until up to 50 years later. The part I found most fascinating was where Woods corrects the general misconceptions I was taught about "The Civil War/War for Southern Independence/War of Northern Aggression": The Civil War wasn't a civil war both in terms of the political end game and the way in which it was waged. Civil wars consist of two factions trying to take control of the one government, not one government trying to tell 13 other governments they can't leave the voluntary union. General Sherman stated that according to what he learned at Westpoint, he'd be hung for the atrocities he'd committed for the North. The war wasn't about slavery. Union General (and President and slave owner) Ulysses S. Grant said that if he thought the war was about slavery, he'd resign his commission and give his sword to the Confederates. History is always presented by those in power. Academics have a vested interest that it is presented their way. Great supplement to ANY history course from grade school through grad school. It's nice to see what the text books usually leave out. Not sure I agree with EVERYTHING, but all of it is thought-provoking. We all have a thing or two to learn about what we have be lead to believe in high school and some college history classes. This entire line of books is incredibly good, chocked full of information you usually don't find in history books or classes, giving new light to "accepted" history. I started listening to this in an attempt to have balanced opinions and education about American history. Unfortunately, this is not really a history book. It is conservative propaganda, and as such, leaves out huge parts of the story. Most of the book may very well be fact, but it is fact in the same way that negative political ads are. It presents select examples as proof that a much broader generalization is truth. For example, since some Native American tribes benefited in the short term fro I started listening to this in an attempt to have balanced opinions and education about American history. Unfortunately, this is not really a history book. It is conservative propaganda, and as such, leaves out huge parts of the story. Most of the book may very well be fact, but it is fact in the same way that negative political ads are. It presents select examples as proof that a much broader generalization is truth. For example, since some Native American tribes benefited in the short term from trade with the colonists, the prevailing view of early Americans as genocidal swindlers must be false. It is this distortion of truth that stopped me from categorizing this as either fiction or nonfiction. In addition to this appalling bastardization of the very idea of history, the writing is also unnecessarily divisive. There are sections called "Books You Aren't Supposed to Read" that are usually published by Regnery, an admittedly biased conservative publisher. This invention of an authority that is trying to keep Conservative Truths from people is clear political propaganda. Similar to his treatment of fact in general is Woods' treatment of the founding fathers. He repeatedly gives the conservative view of a liberal political stance, then refutes it with one or two quotes from founders. His simplified clumping together of the founders (who argued constantly about the way the new country should be run) behind one-sentence soundbites ignores the complexity of constitutional interpretation and political discourse in general. Inside, you learn that the American "revolutionaries" were actually conservatives. Puritans and other colonists mostly didn't steal Indian lands or engage in genocidal ...acts against them. The first section heading is called "Suspicion+Dislike=Liberty. A formula for freedom." All the chapter titles are actually pretty irritating. Later on it gets into Confederate apologetics, justifying religious tyranny as long as it's done by the states and not the federal government. He seems to love focusing Inside, you learn that the American "revolutionaries" were actually conservatives. Puritans and other colonists mostly didn't steal Indian lands or engage in genocidal ...acts against them. The first section heading is called "Suspicion+Dislike=Liberty. A formula for freedom." All the chapter titles are actually pretty irritating. Later on it gets into Confederate apologetics, justifying religious tyranny as long as it's done by the states and not the federal government. He seems to love focusing on petty, relatively minor injustices that appeal to the Right, while ignoring more massive injustices more appealing to the Left. The book may be largely (though CERTAINLY not completely) correct in it's facts, but it's selection and representation are highly distorted. The lack of notes in the P.I.G. books (Politically Incorrect Guides) that I've read so far is frustrating. They offer quite a different perspective which I imagine could be just as biased as the leanings in other books the claim to debunk. "Johnson argued that Radical Reconstruction showed such contempt for law and precedent that it proved The lack of notes in the P.I.G. books (Politically Incorrect Guides) that I've read so far is frustrating. They offer quite a different perspective which I imagine could be just as biased as the leanings in other books the claim to debunk. QUITE an interesting quote from a standing president following the civil war, uncited, I looked this up: http://www.presidency.ucsb.edu/ws/?pi... , finding that our little history book left out this little tidbit he said right after; "No; let us leave them to the infamy they deserve, punish them as they should be punished, according to law, and take upon ourselves no share of the odium which they should bear alone." The book was riveting and, though contrarian, quite fact-based, even when it is infuriating. It did have some MAJOR issues, however, especially relating to war ... the American Civil War, Cold War, and WWI, in particular (on WWII, it was surprisingly good, though I disagree with some, but not most of the spirited and entertaining FDR bashing). I most object to the coverage of Mr. Lincoln's War. It rehashes a lot of truth, some Confederate propaganda about the occupation of New Orleans (federal s The book was riveting and, though contrarian, quite fact-based, even when it is infuriating. It rehashes a lot of truth, some Confederate propaganda about the occupation of New Orleans (federal soldiers reaction to women who threw waste at them, spat at them or screamed at them like fishwives was to treat them like whores ... but that does not mean they raped them, but rather arrested them, published news of their arrests, publicly displayed them for ridicule, and occasionally used the stocks to immobilize them during said display) and Sherman's March to the Sea and, more seriously to my mind, ignores Confederate offenses to civil rights of all sorts. That's a very serious failing in a book laying blame for perceived violations of the Constitution and laws of war. Karl Marx did the same thing in lambasting the North and rooting for the South. That alone should tell the reader how fair that treatment is. Still, Woods is well-read and scrupulous in pleading his case. As for President Wilson, the reader would be well-served to read Barbara Tuchman's The Zimmerman Telegram for an equally unflattering but far fairer indictment of the academic racist and religious bigot in chief. I am listening to this book on CD. It's interesting in a way. There are valuable tidbits and quotes. The author seems to have an axe to grind and a political agenda. I feel that the book is a bit argumentative. For example, the author is really big on the right to bear arms. This is difficult to take in this era of school shootings. He brings evidence to support his view. It feels a bit like the debate club with one side reporting. One feels like someone else could bring an opposing viewpoint with I am listening to this book on CD. It's interesting in a way. There are valuable tidbits and quotes. For example, the author is really big on the right to bear arms. This is difficult to take in this era of school shootings. He brings evidence to support his view. It feels a bit like the debate club with one side reporting. One feels like someone else could bring an opposing viewpoint with an equal number of validating quotes and tidbits. He does shed light on some of our misconceptions about American history. Some of what he says is actually true. Still, the way he says things like "books you're not supposed to read" and the "PC" version...it's a bit annoying. I've come to the conclusion that we have the absolute best system of government possible, but we have elected idiots for virtually the past 200 years. To be sure, most historians and economists (both Democrat and Republican) will not like this book, because it describes the pitfalls of big-government interventionism (both foreign and domestic). Nevertheless, this book fills in some of the cracks that most history textbooks gloss over. Highly recommended. This book was total garbage. I had to put it down after a few chapters because I could literally feel myself becoming more bigoted. If you can get past Native American's agreeing to give away the land they lived on for no profit, even though they couldn't speak English or Spanish in the 1300's and 1400's, you've got a tougher stomach than I. Maybe I didn't give it enough of a chance, but I really didn't think ethically I could. 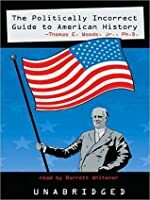 Like his "33 Questions," this book deals with aspects of American history that most historians won't tell you about--certainly not public school teachers. The story of American History that is taught in our schools and universities is a simple one, that reads like a morality tale--ignoring facts that reflect badly on "heroes" like FDR. Read this book and learn what you're not supposed to. As a fan of Thomas Woods work, I am perhaps biased, but I did enjoy this book and found it to be both informative and entertaining with an easy to follow prose. A good balance to Zinn's 'The Peoples History of the USA' as both could be read alongside the other in order to gain certain perspectives. I do suggest this to anyone interested in American History or History in general. Quite a cool book. Not that I'm that familiar with the American History, but it sure does say some stuff I've never heard of and certainly stuff you don't expect many to go around repeating :P Thumbs up for such histories! Definitely not as good as other politically incorrect guides in the series. There are many sweeping generalizations in here which are hard to believe because I can't see his footnotes. But there are also important facts in here that more people should know. I'm glad I read it, but I wouldn't recommend it. 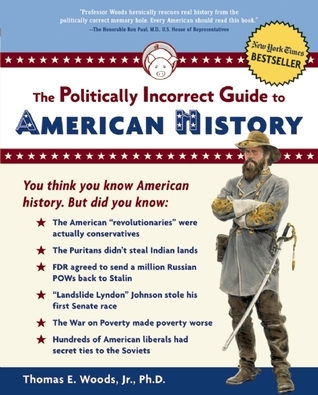 This book gives a thought provoking alternative assessment of American history. Read this with an open mind. You don't have to agree with everything. It does, however, give the reader many things to think about. Many Americans do not think about the long term ramifications of current policies and propositions. If nothing else, the reading will begin to look at the long term effects of current policy proposals. I thought the idea behind the book would be great, however, it was a battle just to finish the book. The biggest problem I have is that the author does what he is accusing everyone else of doing. essentially saying that this is correct because he says so, and with just a little bit of looking into information there is a bunch that does not fit the facts of the events. Additionally the author seems to reverse his own opinion on what what has helped and harmed the country and economy throughout hi I thought the idea behind the book would be great, however, it was a battle just to finish the book. The biggest problem I have is that the author does what he is accusing everyone else of doing. essentially saying that this is correct because he says so, and with just a little bit of looking into information there is a bunch that does not fit the facts of the events. Additionally the author seems to reverse his own opinion on what what has helped and harmed the country and economy throughout history.